2010 is now on the eve of being over – and we have plenty to be thankful for. Over the past two years, I have seen this simple site grow at an unbelievable rate. To be honest, there are times when I am in disbelief at just how successful it has become. To be perfectly honest – there have also been times that I have wanted to throw in the towel. We’ve had milestones this year that have made it worth it. Being named #2 on Worship Leader Magazine’s Top 10 list of the Best Blogs is pretty phenomenal. 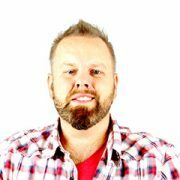 Getting to be an official blog for the National Worship Leaders Conference was huge as well. These are things that kept us smiling – but its you that has kept me focused. It is no secret that I have taken a few weeks “off” from the site. I’ve spent time with the family – and spent time looking at what direction gotworship.net will take in 2011. The end result is a new focus on the website and delivering you more content and less commercialism. I want to truly give you something to sink your teeth into. That’s why 2011 will become a banner year for us. I fully intend to fulfill a promise I made last year to begin monthly online worship leader devotionals and round-table Q&A’s, worship leader training online, and giving you more opportunities to contribute guest articles to the site. I would also like to find an accountability panel of at least 3-4 of our readers and peers to help keep me grounded and to help with ideas for the website to keep proper focus. If you are interested in being a part of this – please reach out to me at jason (at) gotworship.net . In addition, I want to thank my intern for the past year for the job she has done. Esther has been a huge help gotworship.net in handling our social media accounts. The information you get in a timely manner as well as the archived gems that she delivers from the gotworship.net vaults are all attributed to her netoworking savvy. 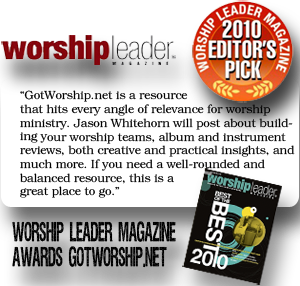 While I am on the “thanking” bandwagon – I want to thank two close friends for their belief and support of gotworship.net. Ron and Adam have kept me motivated in more ways than you could imagine. Thanks for always believing in my vision. I would also be remiss to not thank Kyle Goen for his support of the site. Your input and insight has been a huge help to me. Thanks also to Pat Hood who made me realize that the site was bigger than the simple vision I had for it and the good that the site was capable of all around. To John Saddington for every ounce of blogging wisdom I have picked up over the years. I can honestly say that this website would not be able to be financially supported had it not been for your guidance and direction. (Not to mention how snazzy it looks!) To Shane Henderson for continuing to maintain the domain out of love for a brother and what he believes in – thank you! A special thanks, also, to my un-official “Editor-in-chief”…my mother. Thanks for keeping me on my toes and for making me look like I have half a brain in spelling and grammar. On that note…thanks to my (now official) editor, Andrew, for being (first and foremost) a friend and willing to edit the blog selflessly. Finally, I want to publicly thank my wife for her support. She has pushed me to never give up on this site when I have grown weak. She has never stood in my way when I felt compelled to write an article or two despite the “our time” I may have been interrupting. It takes a special woman to make those sacrifices – and I am sure glad I have her! Here’s to 2011! I’m looking forward to it. We’re going to grow. Grow with us?